Rachael Ray's Veal Parmigiana - you must use the tenderest baby veal, pounded very thin. 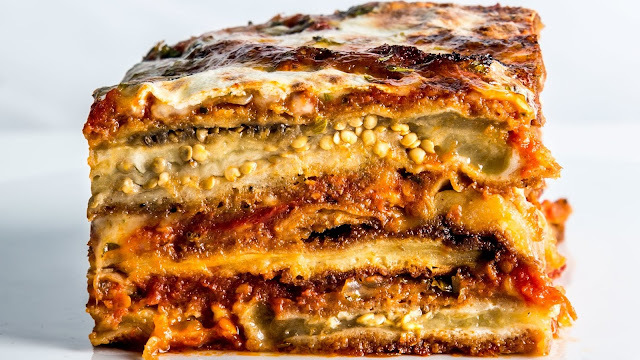 Bon Appétit's Best Eggplant Parmigiana - this is what I'll be making for Easter! And last, I love a Meatball Parmigiana Sub. If you're feeling more sandwich-y than entree-ish, you can make any one of these into a sandwich. Oooooh...I can't wait for the day after Easter when I'll have leftover eggplant for sandwiches! I always thought your Mom made the best!